Does Apple Assign “Fake” Projects To New Hires During A Probationary Period? Last year, Adam Lashinsky made a claim in his book ‘Inside Apple’ that new Apple hires are sometimes placed on “fake” projects during a probationary period, and are only handed real projects once the company can trust them. To find out if this was true, Ars Technica asked around several Apple employees and found out that none of them ever heard of such a practice. Their interviews with current and former Apple engineers revealed that so called “fake” projects do not exist at all. One of the former engineers told Ars that Apple would never waste their own or their employee’s time on something that didn’t directly “contribute to the company’s bottom line” somehow. 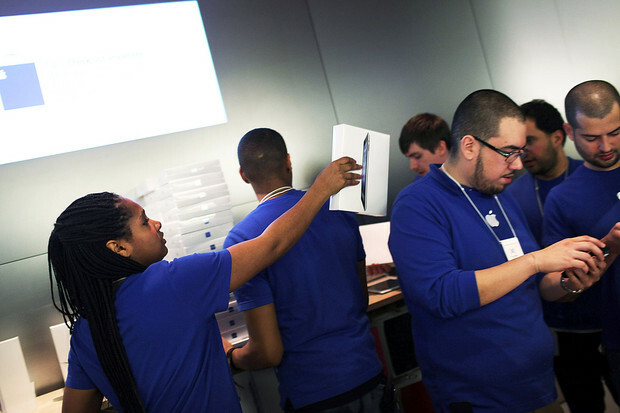 Several engineers said that only a few US Apple employees would dare leak outside the company. However, Apple has plenty of leverage over its employees, including the prospect of firings and even lawsuits. I spoke to Apple employees from various areas of the company at differing levels, some who are still at Apple and others who have moved on, but all expressed the same sentiment. No one reported any direct experience of being put on a fake project at Apple, and no one knew a friend or colleague at the company who had. A single former employee acknowledged having heard about fake projects—but only from a friend-of-a-friend-of-a-friend, and the employee was quick to acknowledge that the rumor should be treated with a skeptical eye. To read more about how how Apple works to track down suspected sources of leaks, such as putting an entire room on lockdown, hit up the original article.